Employee engagement is the litmus test to see if an organization will really fulfill its obligations to its employees, customers, and products. Despite the impact employee engagement can have on customer satisfaction, work culture, and profits, many business owners neglect to acknowledge or develop engagement initiatives. A recent Gallup Management Journal poll indicate that only 29% of employees are actively engaged in their jobs. 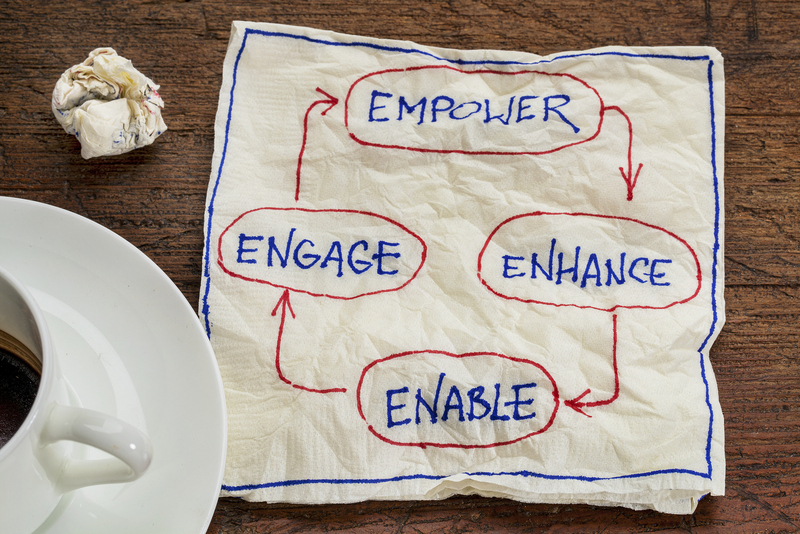 The following are 6 simple steps to jumpstarting employee engagement on the frontlines. [dropcap style=”simple”]1[/dropcap] Connect. Managers and supervisors see employees daily. Take time out of your schedules to connect with employees. Consider introducing more incentive programs or executing more work-life balance initiatives. This will show employees that management cares about their well being and happiness. [dropcap style=”simple”]2[/dropcap] Clear Vision. Supervisors and managers must communicate the corporate vision to associates. Too often vision statements and presentations are shared with executives but employees are bypassed. If the vision it to be fulfilled, associates must know the reasons behind initiatives. [dropcap style=”simple”]3[/dropcap] Convey Expectations. Supervisors must convey their expectations to employees. One of the best ways to do this is to lead by example. If employees are expected to be polite and respectful to each other and to customers, supervisors should be respectful and approachable to associates and customers as well. [dropcap style=”simple”]4[/dropcap] Congratulate. Always celebrate employee achievements, no matter how small. Public recognition in front of peers and management will bolster employee confidence ensuring repetitive positive behavior. [dropcap style=”simple”]5[/dropcap] Collaboration. Studies show that when associates work in teams they can provide valuable insight to senior management and build strong working relationships that reinforce a unified since of identity and loyalty to the company. [dropcap style=”simple”]6[/dropcap] Credibility. Supervisors must demonstrate integrity and honesty and demand it from employees no matter the circumstances. Don’t let lack of employee engagement tarnish your organization.